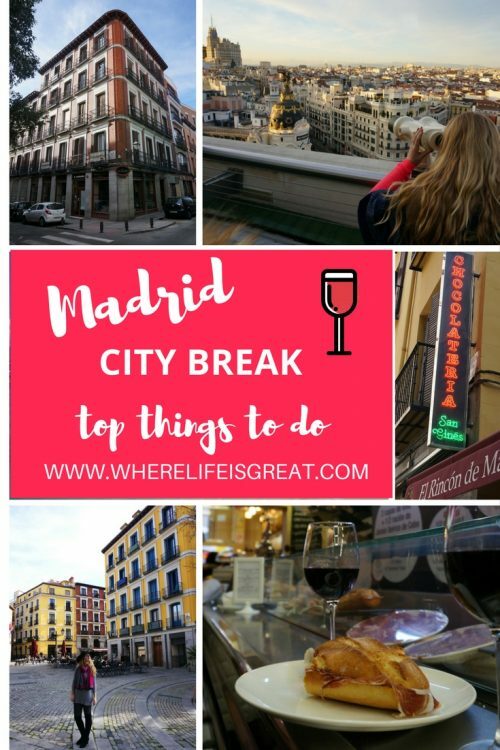 Madrid city break: top things to do! Not so long time ago, I fell in love with Spain – one of the most exciting, open-minded, rich in culture and gastronomy countries in Europe. In 2011 I arrived in Madrid for my student exchange and stayed 6 months only to be back for good in Barcelona, two years later. 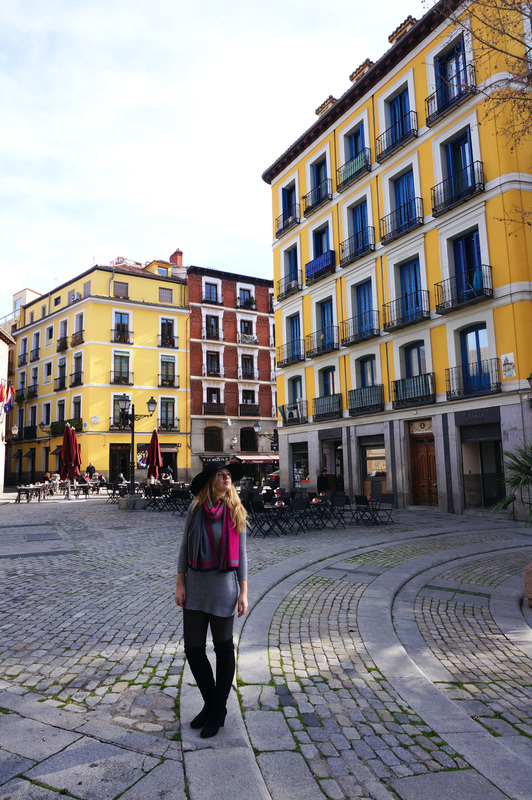 Now, though I live in Barcelona, I still go to Madrid every now and then for an exciting weekend getaway. Madrid is huge and has plenty of attraction, but if you have only a weekend you can still get the best out of it. 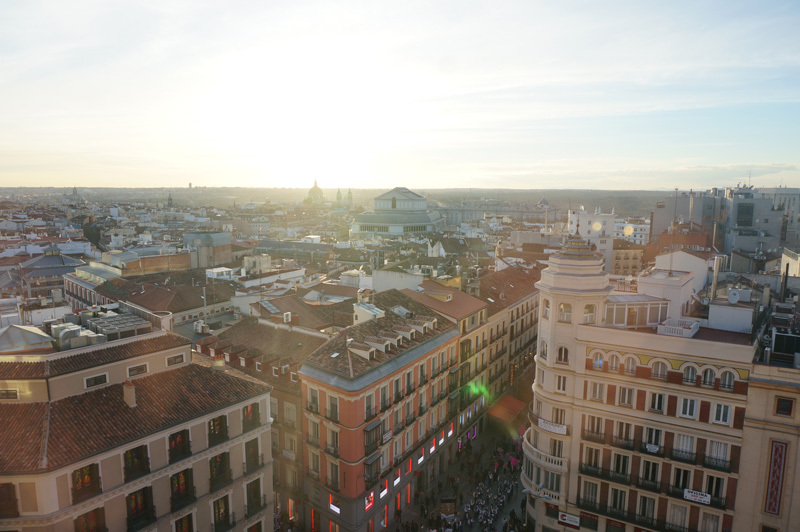 Just keep on reading this post, as I have described the absolute top things to do while on a weekend in Madrid. So, pack your bag and let’s go for an ultimate Madrid city break! Friday is Funday! Let’s kick-start the weekend with delicious food and fancy drinks. Head for some tapas (small appetisers served both cold and warm) to La Latina. La Latina is one of the most authentic Madrid’s neighbourhoods combining little boutiques, typical tapas bars and medieval streets. My new favourite dish is eggs with cured Spanish ham (huevos rotos con jabugo) at La Taberna los Huevos de Lucio. Walk the streets of Cava Baja and Cava Alta – you will find plenty of authentic Spanish restaurants where the locals go. Alternatively, head to San Miguel Market. You’ll be amazed by its architecture and food variety (you can find fresh produce from every corner of Spain). But the best part is that it stays open until 2 am on a weekend as sharp looking Madrileños go there before hitting the clubs. 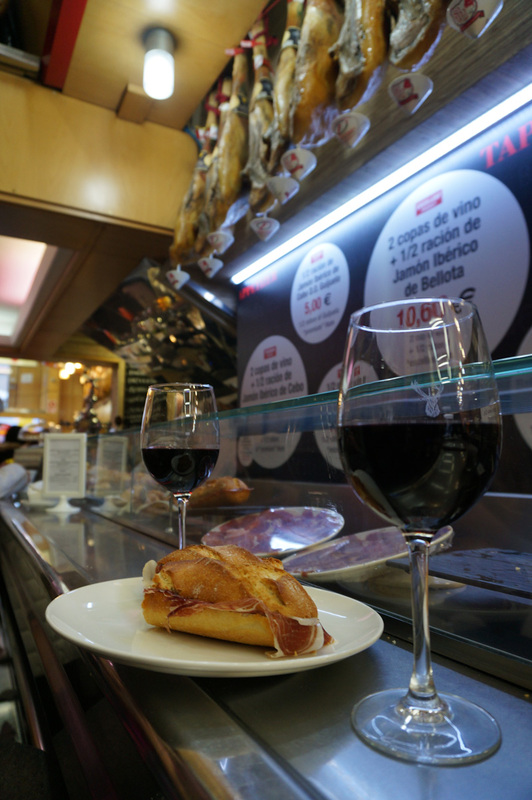 Enjoy excellent tapas and wines while mingling with locals (you’ll be surprised how easy it is to start a conversation with random people in Madrid). Time to discover the city’s treasures! 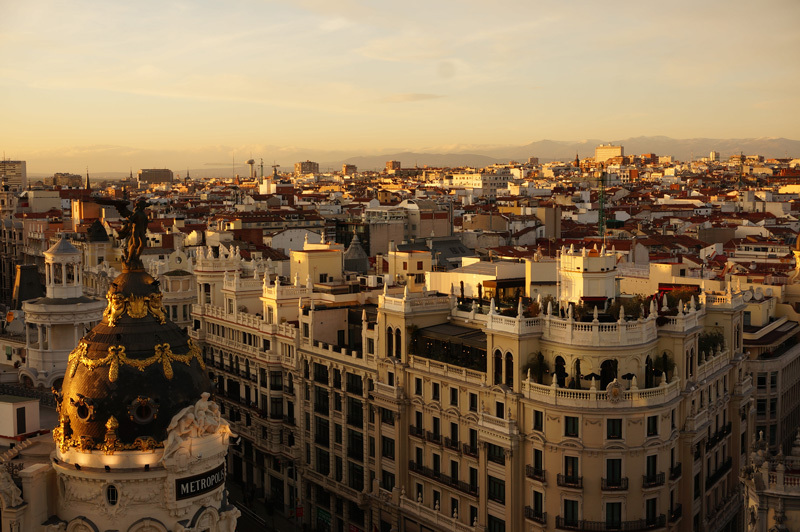 Let’s start with the most beautiful and emblematic sights like Puerta del Sol, Plaza Mayor, Palacio Real. 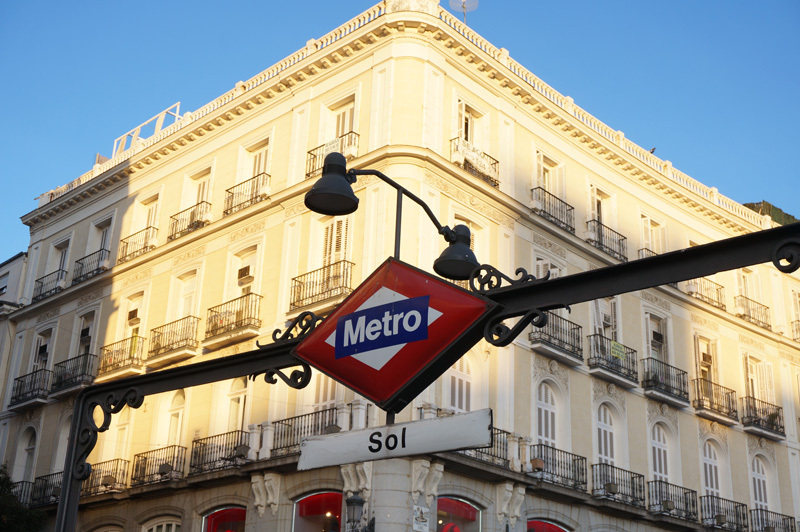 All the roads lead to Puerta del Sol, the busiest square in the city. Literally! Puerta del Sol is a km 0 of roads connecting Madrid to other parts of the Spanish Kingdom. Sol is usually flooded with people and it’s quite easy to get lost, so better look around for some signs that will help you find the right way out of the square. For example, there is “Tio Pepe” advertisement ( a true landmark), Bear and the Madroño Tree, the heraldic symbol of Madrid and the famous clock on the post office building whose bells mark beginning of eating 12 grapes at the New Year’s Eve. From there, stroll the old town until you see a grand arcaded square called Plaza Mayor. Plaza Mayor is the main square in Madrid and a location for major festivals. 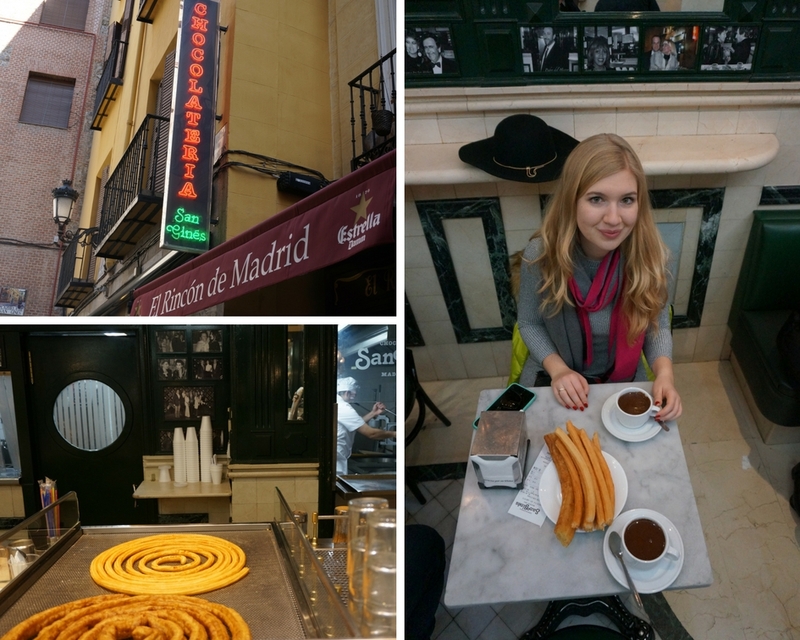 Take a look at its iconic red building and then take a small break to drink the best hot chocolate in town and eat the most famous churros at Chocolateria San Gines. It is heaven on Earth! After chocolate and churros, continue walking around the old town to see Palacio Real (the Royal Palace). The official residence of Spanish royal family. 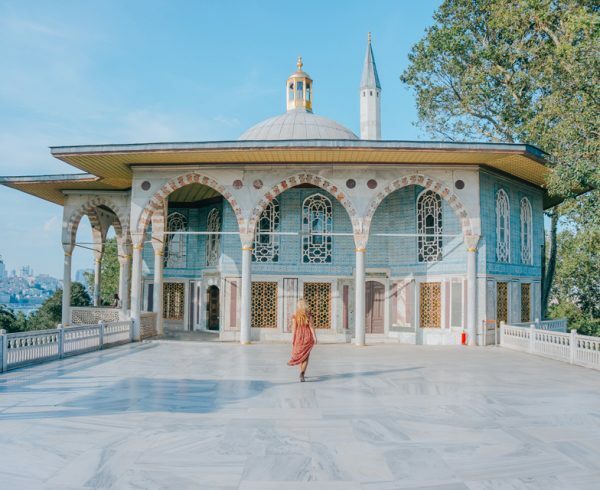 You can visit the inside to fully appreciate the beauty of this oldest in the World functioning palace. From there, a short stroll will take you to Temple de Debot. 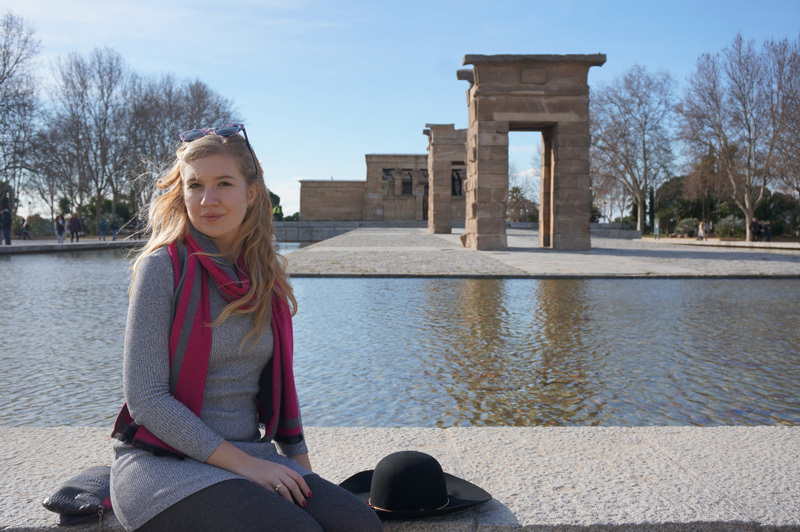 It might surprise you to find an Egyptian temple in the middle of the Spanish capital, but worry not! This temple was actually a gift from Egypt to Spain for help in saving temples in Nubia. Time for lunch! Not far from Temple de Debot, you will find Museo del Jamon. The name is a bit misleading as it is not a museum but a restaurant with all possible varieties of Spanish delicacy – Jamon (cured ham)! I suggest taking a whole plate of Jamon de bellota (ham from free-range Black Iberian pigs) and a bottle of good red wine. Yum! While already on Gran Via, my best advice is to go shopping and if you speak Spanish, make sure you check the theatre agenda. Gran Via is like Spanish Broadway! 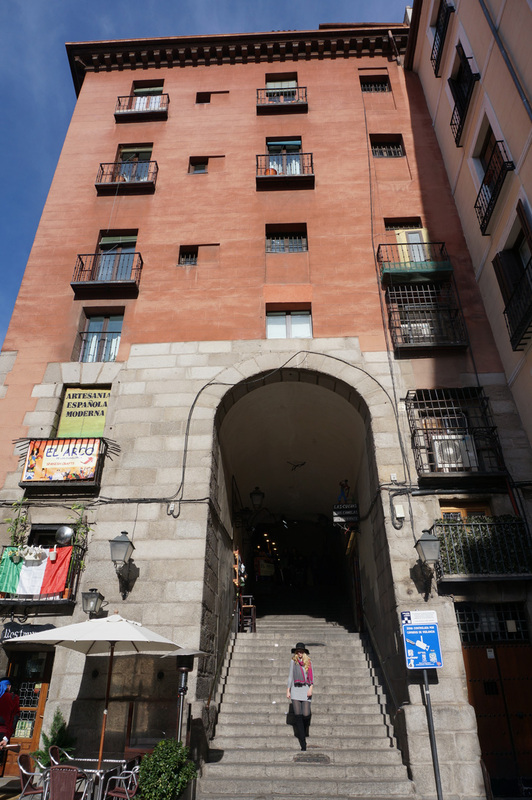 Walk from Plaza España until Metropolis building, the most beautiful building in town, and step in and out of different boutiques. 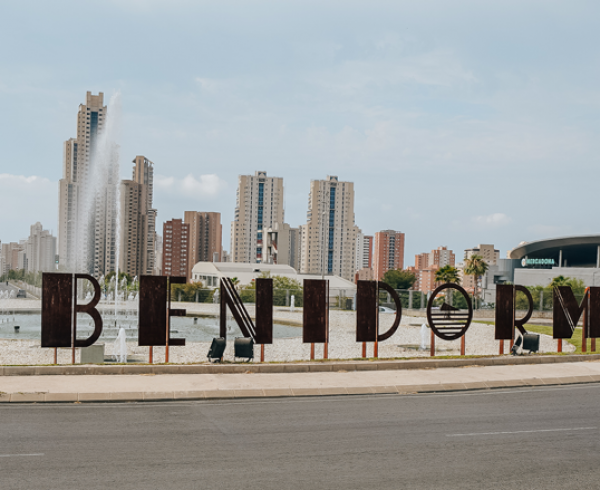 Go especially to Salvador Bachiller shop, as it has a hidden restaurant (El Invernadero) with a greenhouse inside and some of the most original drinks you can find in the city. Don´t forget to go inside El Corte Ingles, Spain biggest department store. On the very top, there is a section with gourmet food and a terrace with a panoramic view over the city. 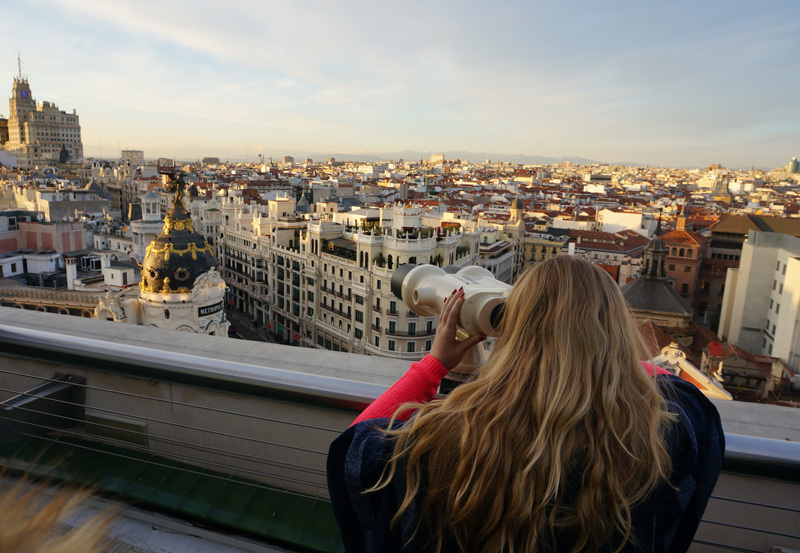 Speaking of views, if you wonder where is the best view of Madrid, my absolute favourite is Azotea del Circulo de Bellas Artes. The bar itself might be a bit overpriced (plus you need to pay about 4 Euros to get inside) but boy, those views are priceless! The bar has a relaxation lounge so if you want to make the best use of your money go there for a sunset and stay until night, chilling on one of the beanbag chairs. Madrid has the highest number of bars per square meter in the whole Europe! It is a city that never sleeps, which means you shouldn’t sleep there either. Take only a small nap before heading to clubs, as the nightlife in Spain starts very late. The clubs usually open around 1 am, and if you come before, you will be the only one inside. 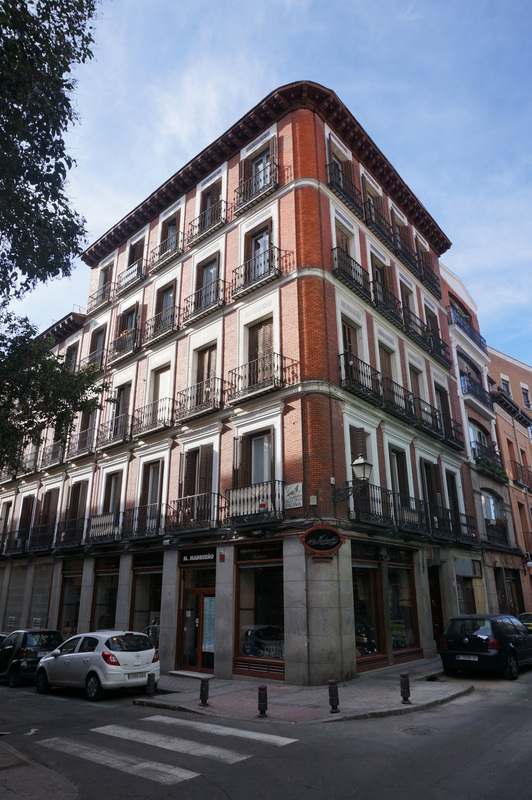 Nice neighbourhood to go out is Malasaña, the hip district of Madrid full of lively bars and clubs. Alternatively, head to Lavapies with its multi-ethnic character and hippie style or Chueca for the gay-friendly places. 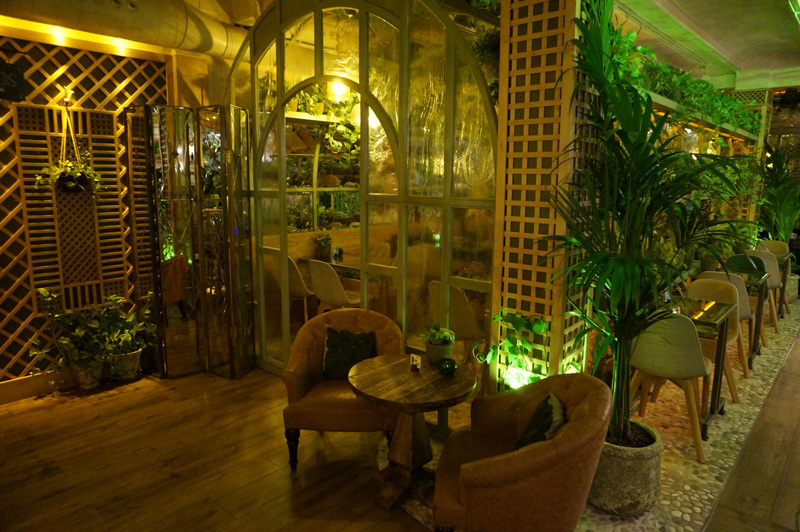 For more posh experience, try barrio Salamanca with its upscale club scene. As Saturday was full of attractions both during the day and during the night, Sunday is the relaxation day. 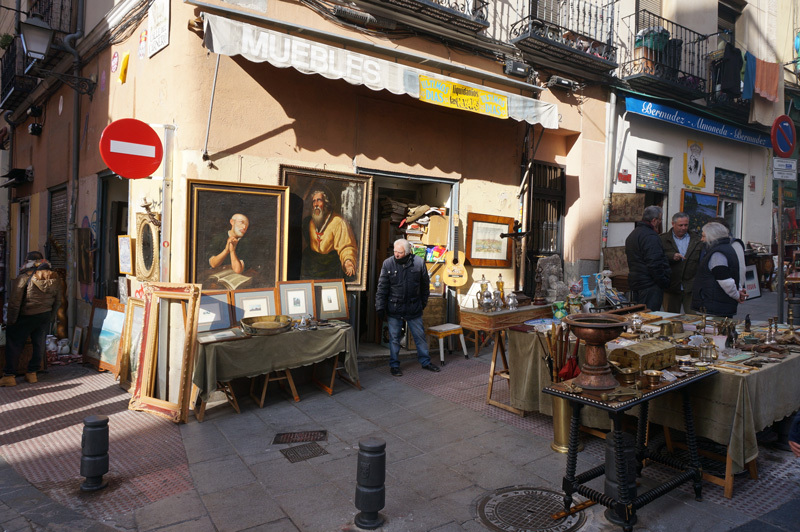 In the morning check out El Rastro, the most famous Spanish street market on which you can find everything, from small crafts through clothes, medieval art and home equipment. The surrounding area of the market is also filled with antique shops. The market takes place every Sunday from 9 am to 3 pm in barrio La Latina. 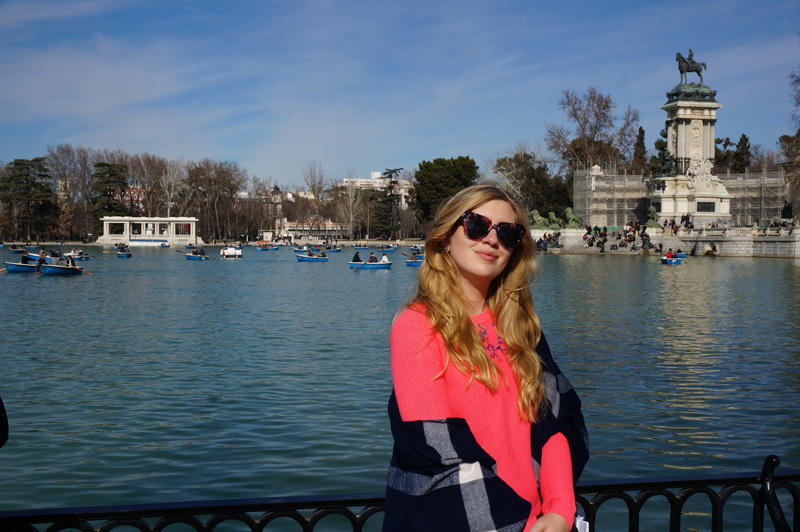 After treasure hunting at El Rastro, take a stroll in Retiro park. 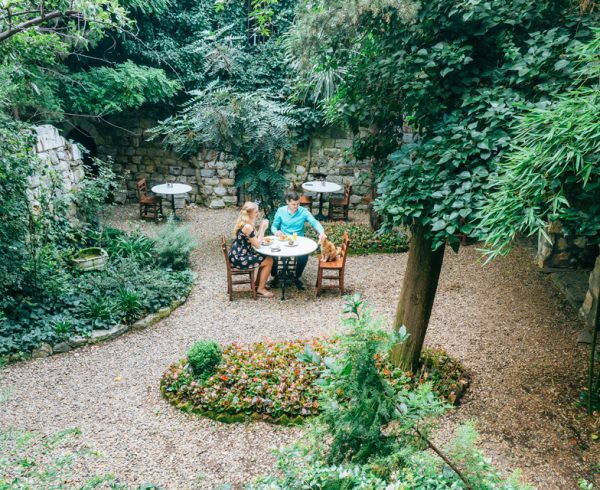 This green oasis in the centre of the capital of Spain is often referred to as the Central Park of Madrid. It occupies a surface of 125 hectares, and it is home to more than 15 000 trees. 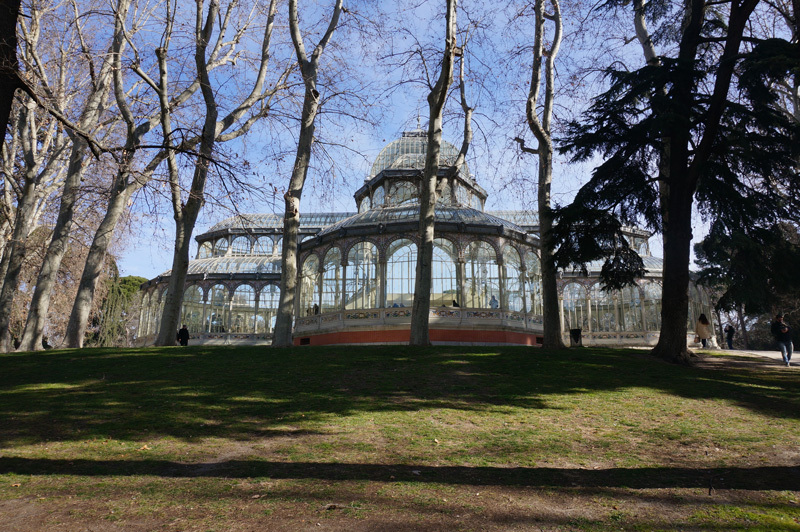 While in the park, don’t miss the lake (a popular spot for rowing) nor the beautiful glass palace, Palacio de Cristal, which was designed as a huge greenhouse but nowadays serves mostly as an art exhibition. Madrid has one of the best museums in the World. I especially recommend visiting El Prado, where you can see classic Spanish masterpieces from Goya and Velazquez, Museum Thyssen-Bornemisha with a mixture of different styles, Museum Reina Sofia with 20th-century art exposition and CaixaForum with its impressive vertical garden. I hope you will enjoy your Madrid city break, as much as I always do when I visit this town and that it will leave you with a need to come back soon for longer. 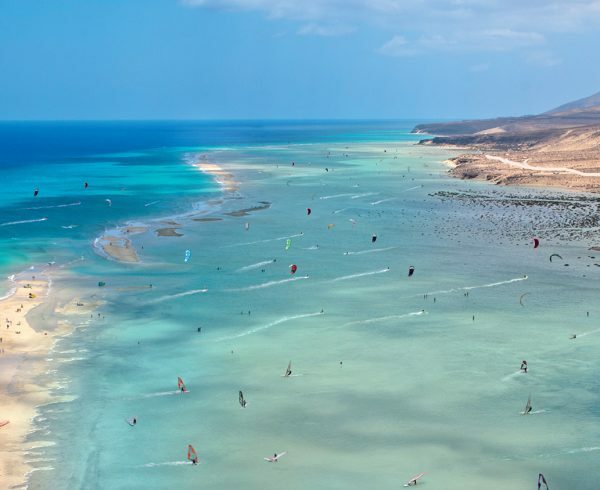 Your Fuerteventura holidays: places you can’t miss! 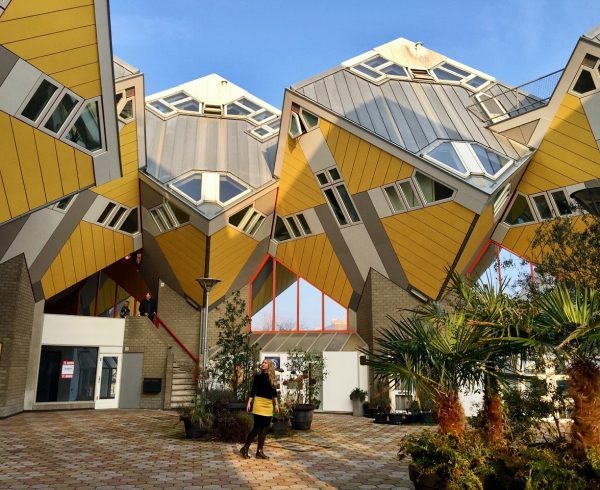 3 charming towns to visit in the Netherlands + 1 cheese town you can’t miss!